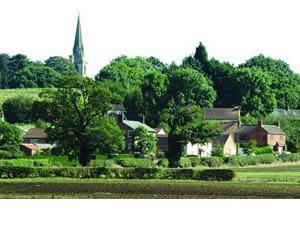 Streatley includes Sharpenhoe and extends north from Luton to hilly country with much woodland in evidence. Streatley's 14th century parish church has been carefully restored and it retains an early wall painting of St. Catherine. Sharpenhoe Clappers, a nearby wooded viewpoint, belongs to the National Trust.